Live your best life and find Georgia per diem nursing shifts with GIFTED. We find the best PRN opportunities across the state. As a nurse owned and operated agency, we’re looking for compassionate, energetic people for our team. GIFTED takes pride in tailoring opportunities to your needs. Why Choose Per Diem Nursing Jobs in Georgia? Per Diem nursing gives you the highest amount of flexibility and freedom. You can earn full-time benefits working part-time hours. These awesome perks are available to nurses who help hospitals meet the constantly shifting challenges of the census. At GIFTED, we are currently staffing PRN nursing shifts in cities across Georgia, including many cities near Atlanta. At GIFTED Healthcare, we support our nurses offering premier opportunities in per diem nurse staffing. We get what you want when you want it. What else could you ask for? No seriously, we’re listening. GIFTED is here to support you. We’re committed to keeping compassionate, talented nurses at the bedside. The flexibility and support our company offers exceeds the expectations of PRN nurses across the country. We find high-quality PRN nurses in Georgia and provide opportunities at doctor’s offices, clinics, hospitals, and long-term acute care (LTAC) facilities. We fill both short and long-term contracts. Per Diem work means schedules you control and often higher hourly pay. You’ll “waterfall” in love with the per diem nursing opportunities at GIFTED! Beaches, farmlands, and mountains, oh my! Georgia has something for every kind of nurse. 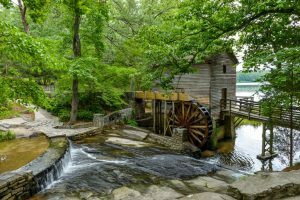 This southern eastern hub is a lush canvas for walkers, horse riders, cyclists, skiers, rafters and travelers of every kind. Enjoy some southern hospitality and enjoy the food and drink culture of Atlanta and beyond. Whether you’re interested in world’s largest aquarium or the chance see the home of the country’s most notable civil rights leaders, Georgia has adventures for you.